It was an early morning for audience members of “LIVE! 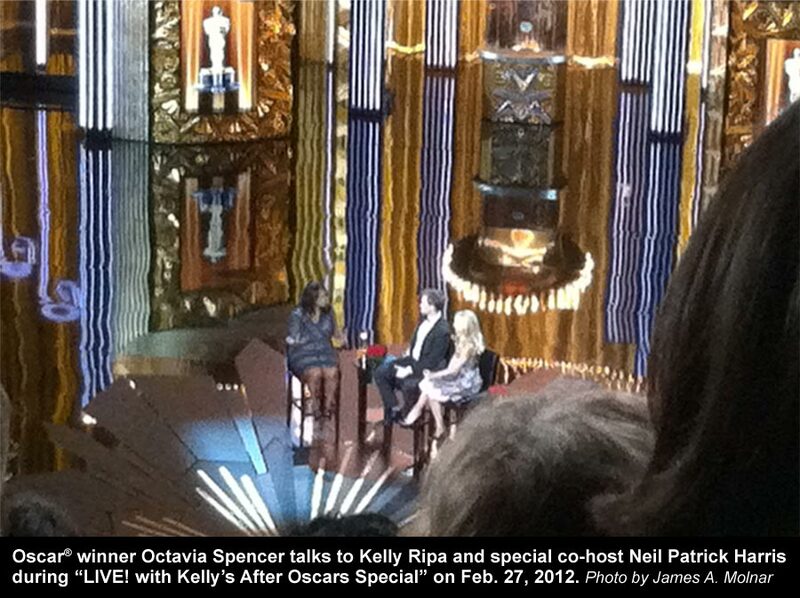 with Kelly” on Feb. 27, the day after the 84th Academy Awards. Thousands of fans lined up outside in parking lots near the Hollywood Bowl, less than a mile north of the theater at Hollywood & Highland (formerly known as the Kodak Theatre). The show filmed at 6 a.m. PT — airing live on the East Coast at 9 a.m. ET — and audiences members were required to be in line by 3 a.m., including this fan. Having a chance to sit in the same theater where just hours earlier, Oscar-invited guests, nominees and winners sat was very surreal. 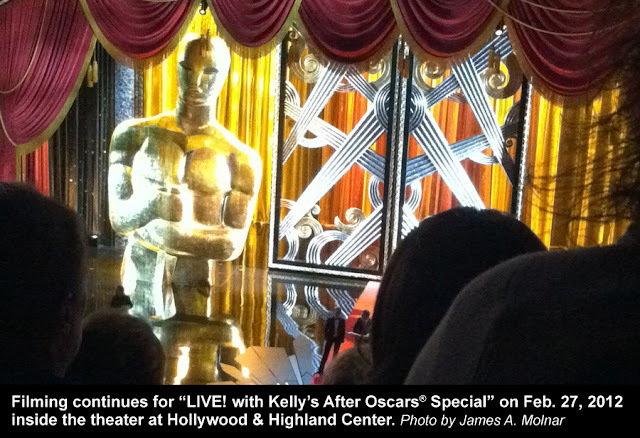 For years, “The Oprah Winfrey Show” filmed a post-Oscars broadcast at the Kodak, hours after the ceremony finished. Since Oprah ended her show last May after 25 seasons, there was a post-Oscars vacancy. And that vacancy was filled by Kelly Ripa (and co-host for the day Neil Patrick Harris). The host of “LIVE! with Kelly” announced on Feb. 3 that she would broadcast her daily show live from the Oscars theater on Feb. 27. 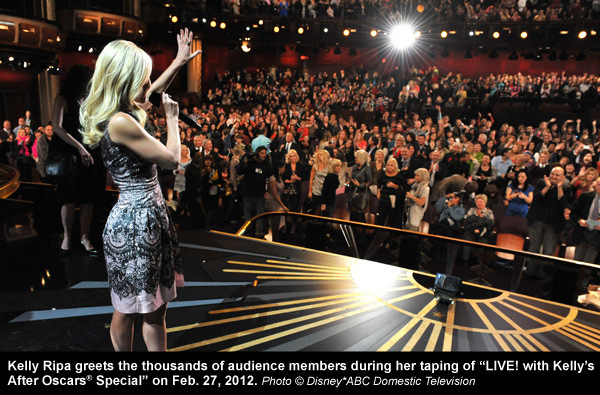 “This is the one show you're not going to want to miss,” Ripa said on her Feb. 3 show. The 60 minutes it took to tape the show flew by — literally. 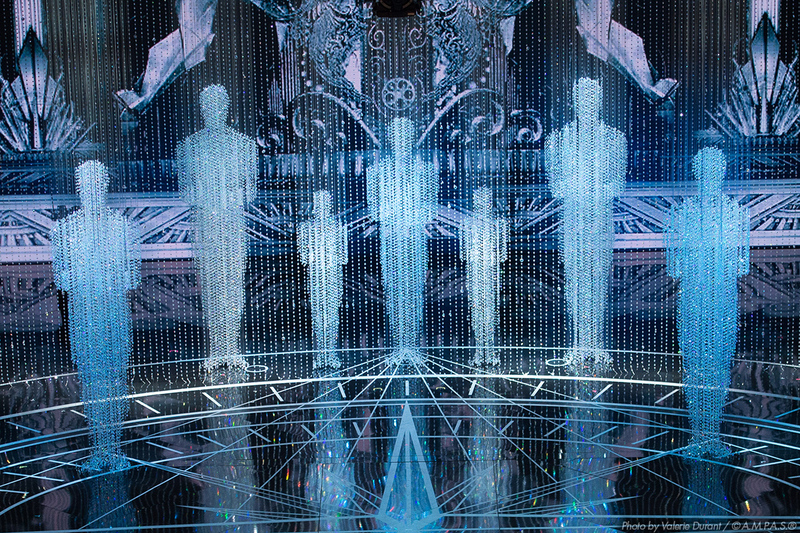 The Oscars special opened with a gravity-defying performance by Cirque du Soleil. Guests on the show included fresh Oscar winners Octavia Spencer, Best Supporting Actress winner for “The Help,” and Jean Dujardin, Best Actor winner for “The Artist.” Uggie, Dujardin’s dog in the movie, also made an appearance. 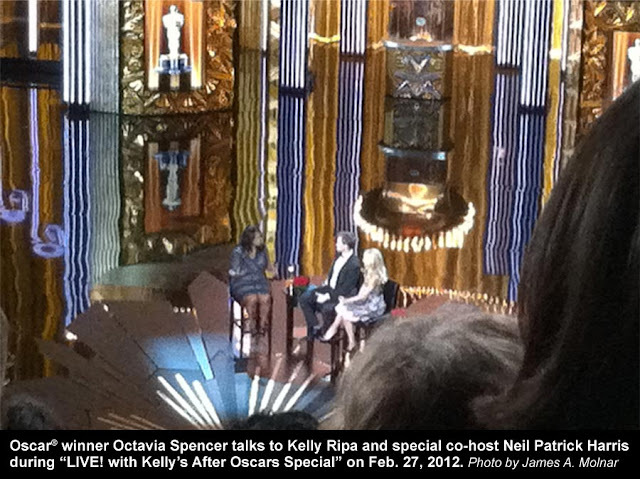 Spencer told the co-hosts that she couldn’t remember what she said during her acceptance speech. For pictures and videos from the show, visit the ”LIVE! with Kelly” website. “LIVE!” is produced by WABC-TV in New York City and distributed domestically by Disney-ABC Domestic Television. The Oscars are broadcast on Disney-owned ABC and will be until at least 2020. “LIVE! with Kelly” airs in more than 200 markets across the U.S.